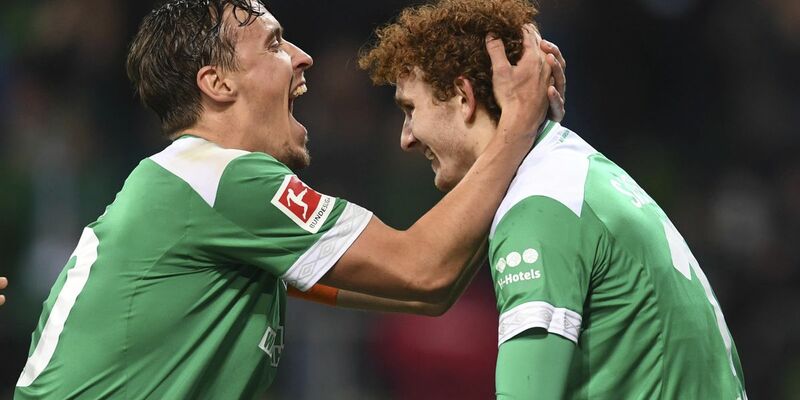 Josh Sargent scored on his first touch 2 minutes into his professional debut, a 78th-minute header by the 18-year-old American that helped Werder Bremen beat Fortuna Duesseldorf 3-1 on Friday in the Bundesliga. Sargent, who left O'Fallon, Missouri, to join Bremen last winter, scored after Davy Klaassen sent a pass into the penalty area from 30 yards that was toe-poked by Martin Harnik. The ball bounced off a shoulder of goalkeeper Michael Rensing, and Sargent raced in to nod the ball into the goal from 1 yard. Sargent also scored in his U.S. debut, a May 28 friendly against Bolivia, and became the first American since at least 1990 to score in his national team and professional club debuts, according to the U.S. Soccer Federation. The forward left St. Dominic High School in the middle of 10th grade to join the U.S. Under-17 team's residency camp in Bradenton, Florida, scored four goals in the 2017 Under-20 World Cup and three more at that year's Under-17 World Cup. He has two goals in six international appearances, also scoring against Peru in October. He turned 18 on Feb. 20 and was not eligible to play for Bremen's first team until the 2018-19 season. He has seven goals in 12 games this season for Werder Bremen II in the fourth tier. Bremen won for the first time in six league games to move up to seventh place. Max Kruse set up Kevin Moehwald for Bremen's opening goal after 20 minutes. But last-place Duesseldorf equalized near the end of the first half when Belgian forward Dodi Lukebakio scored a penalty after center half Sebastian Langkamp was penalized for a handball. After Lukebakio went close to putting the visitors ahead, Harnik put Bremen back in front from inside the penalty area in the 71st. Five minutes later, Sargent replaced Milot Rashica and was soon celebrating his first Bundesliga goal. Promoted Duesseldorf has lost nine of 14 matches since its top-flight return as second-division champion. The Marcet Soccer Academy, based in Barcelona Spain is one of the premier training academies for young soccer stars with dreams of one day turning professional.